I have tried different brands of nail polish, those which do or don't say super stay, 7 days and what not but I can't seem to get my nail polish to last more than 2-3 days. 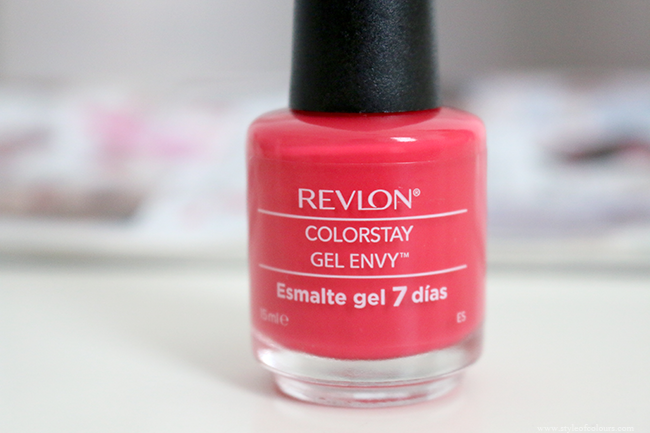 I recently came across the Revlon Colorstay Gel Envy and decided to give it a go right away because I love the look of gel nails, but just not the takeout process or the damage it does to your nails. 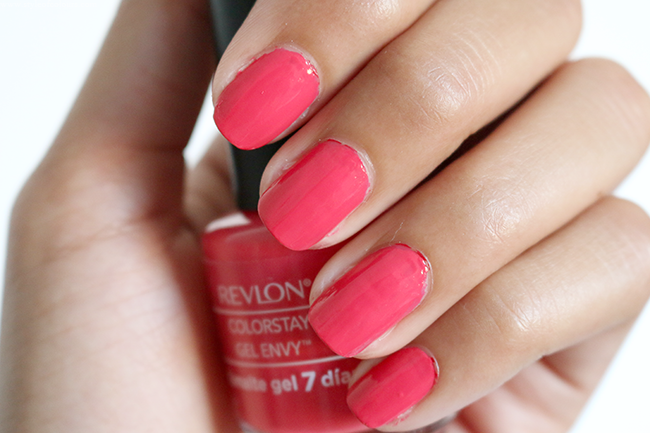 Revlon says to achieve the best results you should use the Colorstay Gel Envy with the top coat. 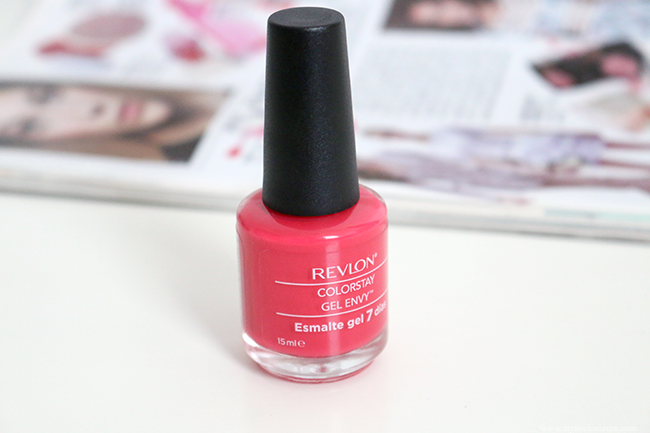 I didn't get the top coat, I got just the Revlon Colorstay Gel Envy in Rojo Coral 030. I have put this nail polish to the test and am quite disappointed. The brush of the nail polish is a standard size, not too big and not too small. 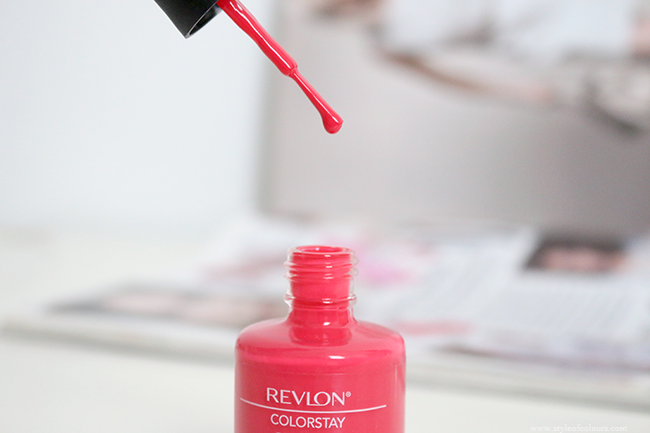 The nail polish applies smoothly and looks almost opaque even after one coat but I like to apply two coats. I really love the colour I got as it is so bright and summery but was disappointed with the staying power of the nail polish. It lasted about 2-3 days before it began chipping off and this considering I didn't do a lot of house work while wearing it. I wash my hands quite a few times a day and do the dishes in the evening, but other than that nothing too crazy. So when they began chipping on the third day, I wasn't too happy as I was hoping it would last longer even if I didn't use the top coat. Overall, seeing as it is more expensive than some drugstore nail polishes, I wouldn't choose this one over others as I'm sure I'd be able to find lovely colours from other brands as well with relatively the same staying power. Likes - colour, opaque even after 1 layer. Dislikes - doesn't stay on for long. Which nail polish stays on the longest for you and is reasonably priced?